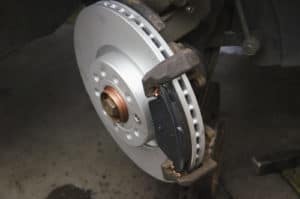 The brakes are some of the most important parts of your automobile. Without them, you can’t properly stop the car, leaving you at risk to get into an accident near Stratham, Portsmouth, or Exeter. There are different components inside a braking system, including the brake pads. They endure the most wear, so they usually have to get replaced the most. Below, we’ll tell you how to check brake pads to determine when they need to be replaced.  Read through this informative guide, and contact us at BMW of Stratham if you have any questions. The good thing about brake pads is that they’re designed to provide clear signals on when they need to be replaced. Listening to them: If you hear metal scraping in the wheels when the vehicle is moving, then the brake pads are starting to wear down. The noise will usually get louder the more the brakes are used. So, you’ll want to get the issue taken care of right away. Feeling for any vibrations: When the brake pads are wearing down, you may feel a vibration when pressing down on the brake pedal. You may feel a vibrating steering wheel, too, which could also indicate brake pad issues. Check the wheels: Brake dust accumulation in the wheel is a sign of normal wear. As brake pads wear down, the amount of dust tends to decrease. So, if you notice clean wheels after previous dust accumulation, then the brake pads will probably have to be replaced. Look at the brake pads: In many vehicles, you can see the brake pads through the wheel. So, you’ll want to take a look at them to determine thickness. If they look thin, like less than ¼ inch thick, then they’ll have to get replaced as soon as possible. Along with these signs, it may take longer to stop the car. Or, your foot may go down further than normal when applying the brakes. 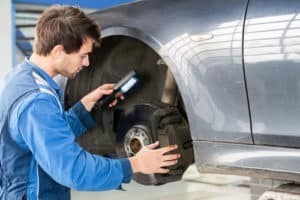 In any of these cases, you’ll want to get your car looked at by a professional sooner rather than later. You should get your brake pads checked by a professional each time you get your tires rotated since how often they need to be changed varies. It really depends on how and where you drive. For example, if you drive in urban areas, then the constant stopping and starting in city traffic will wear down your brake pads faster. If you need them checked and/or replaced, then bring your car to our state-of-the-art service center. Here, you’ll find a team of highly trained and certified technicians. They have years of experience performing brake pad service on different vehicles. Due to this, they can do the work quickly and efficiently. If anything has to get replaced, we’ll do so using genuine parts. This is to help keep the vehicle running as well as it did when you first bought it. Plus, you can rest assured that the work will be done correctly the first time, every time. Now that you know what goes into checking brake pads, you’ll want to make sure yours are good to go. To get started, schedule a service appointment at BMW of Stratham. Our mission is to help drivers in Stratham, Portsmouth, and Exeter drive around in a well-performing vehicle. We want to do the same for you, so don’t wait. Schedule brake pad service today!